Thomas Pasatieri first received national acclaim in his early twenties. His operas and hundreds of songs have been performed by such prominent artists as Janet Baker, Elizabeth Söderström, Frederica von Stade, Shirley Verrett, Catherine Malfitano, Evelyn Lear, Thomas Stewart, and the late Jennie Tourel. His interest in native American voices has been seen in Pasatieri’s work with young singers. His concern with the operatic education of children led him to write The Goose Girl, a 35-minute opera for young audiences (for which he wrote his own libretto). Opera in 3 acts. 2:00:00 2 2 2 2 – 2 2 2 1; Timp. Perc. Hp. Str. Opera in three acts. 2:00:00 2 1 2 1 – 2 2 2 0; Perc. Pno. Hp. Str. Opera in 3 acts. 2:00:00 2 2 2 2 – 4 2 2 1; Timp. Perc. Hp. Str. Opera in 3 acts. 1:40:00 2 2 2 2 – 4 2 2 0; Timp. Perc. Pno. Hp. Str. Opera in 2 acts. 2 2 2(B.Cl.) 2(Cbsn.) – 4 0 2 0; 3Perc. Str. Opera in three acts and an epilogue. 1:50:00 1(Picc.) 1(E.H.) 1(B.Cl.) 1(Cbsn.) – 1 1 1 0; Timp. Perc. Pno.(Cel.). Hp. Str. 33:00 1 1 1 1 – 1 0 0 0; Hp. Vln. Vla. Vcl. Comic Opera in 1 act. 30:00 2 2 2 2 – 1 1 0 0; Timp. Perc. Pno.(Cel.) Hp. Str. Opera in 1 act. 1:30:00 2 1 2 1 – 2 2 2 0; Timp. Perc. Hp. Str. Opera Buffa in one act. 30:00 1 1 1 0 – 1 0 0 0; Pno. Vln. Vla. Vcl. Opera in 1 act. 1:00:00 3 2 2(B.Cl.) 2(Cbsn.) – 2 1 1 0; Timp. Perc. Pno. Hp. Str. 20:00 3 3 3 2 – 4 3 3 0; Timp. 2 Perc. Hp. Str. 40:00 Sop., Children’s Ch. ; 3 3 3 3 – 6 3 3 0; Timp. 3Perc. Pno. Hp. Str. for Orchestra 22:00 2 1 2 1 – 2 1 1 0; Str. 2:00:00 2 2 2 2 – 2 2 2(B.Tbn.) 0; Str. for Medium Voice and Small Orchestra 2:40 Solo Med.Vx. ; 2 2 2 2 – 3 2 0 0; Timp.(dbl. Perc.) Hp. Str. 25:00 Solo Vla. ; 2 1 2 1 – 2 1 1(B.Tbn.) 0;Str. 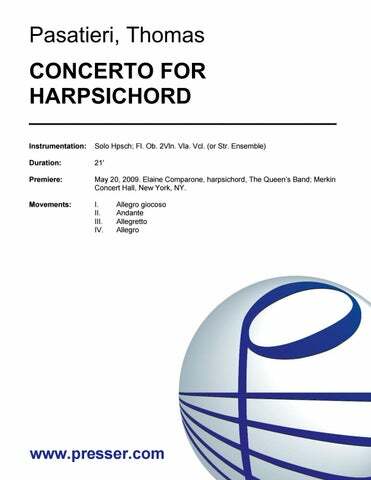 for Soprano, Mezzo-soprano, Children’s Chorus, and Orchestra 27:00 Sop., Mezzo-sop., Ch. Chorus; 2 2(E.H.) 0 1 – 0 0 0 0; Str. for Soprano, Mixed Chorus and Orchestra 16:00 2(Picc.) 2(E.H.) 2(B.Cl.) 2(Cbsn.) – 4 2 2 1; Timp. 2Perc. Hp. Str. 26:00 Solo Voice; 2 2 2 2 – 4 2 2 1; Timp. Perc. Hp. Str. for Soprano, Clarinet, Violin, Cello and Piano 22:00 Solo Sop. ; Cl. Vln. Vcl. Pno. for Soprano and Ensemble 1:1030 Solo Sop. ; 1(dbl. Alto Fl., Picc.) 1(dbl.E.H.) 1(dbl.B.Cl.) 0 – 1 1 0 0; Pno. Hp. 1Vln. 1Vla. 2Vcl. 1Cb. 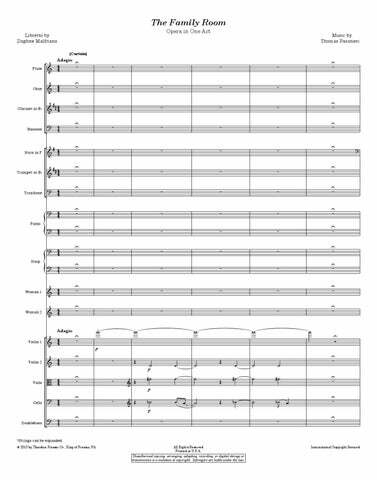 for Medium Voice and Chamber Orchestra or String Quartet 11:00 2(Picc.) 2 2 2 – 2 1 1 1; Timp. Perc. Hp. Str. for Mezzo-soprano and Piano 8:00 Mezzo-soprano, Pno. If you’re not familiar with Pasatieri, this is a good place to start. He selects texts well and amplifies them effectively in these settings. Pasatieri’s music sets both vivid memory (in carefree waltzes and desperate dance marathons) and the faded present with the faint clink of crockery and the fainter dripping of blood. 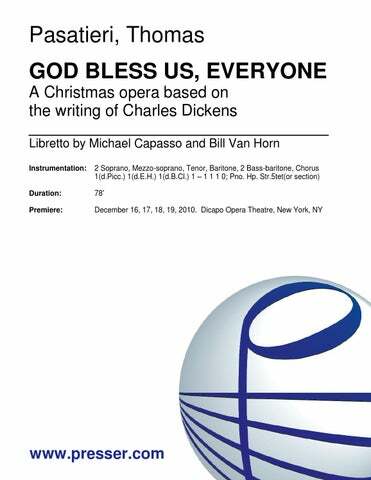 Mr. Pasatieri is clearly the star of the show as his musical warmth caresses the singers and bathes the listener in a sea of contemporary ‘bel canto’ …this is a singer’s composer, indeed. Black Widow is a powerful and compelling piece of total theatre…has a stark and austere beauty. He has a marked gift for vocal writing and an ease in handling the orchestra that marks the real pro…There are many isolated passages of great beauty and strength. Pasatieri shows skill in composing a vocal line that is at once lyrical and powerful…It is melodious and as smooth as cream. The score spins out, loaded with wonderfully singable lines and clever ensembles. 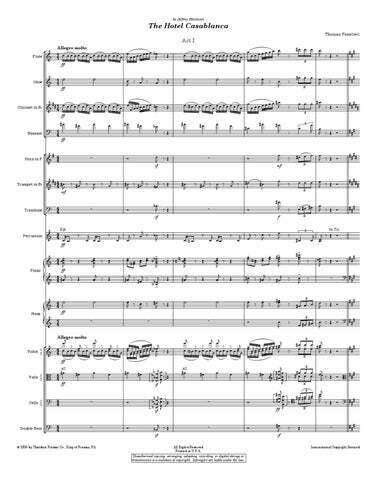 …an exciting and absorbing work…this is strong dramatic stuff, but the young composer’s score – expressive, melodic, eminently singable – is up to it…The first-night audience shared this reviewer’s enthusiasm. the music is capable of high drama as at the end of Act II and orchestrated with a good ear for instrumental adventure, with special felicity shown for woodwinds and percussion. The scoring for the music is lively [and] varied…Pasatieri combines the traditional and contemporary elements into the design of his opera. 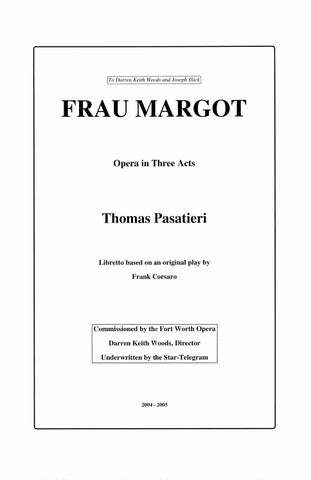 Pasatieri has won his gamble, taking the best of three falls (acts) from the difficult opponent embodied in Unamuno’s text…The beautifully written trio [in Act III]…is the musical climax of the opera, at just the right moment. It is probably the greatest tribute to Pasatieri, as a composer for the theater, to say that he has made his lyrical music serve the drama and the singers at all times, something of a rarity in contemporary opera. Mr Pasatieri’s score powerfully conveys the sense of strain and struggle…In moments of poignancy, the scoring achieves a gentleness that is never cloying. Pasatieri is clearly an accomplished composer with a remarkable gift for writing a highly singable vocal line. …well-wrought, evocatively moody and aggressively consonant… It’s not hard to imagine that this piece will provide great enjoyment for opera lovers for years to come. The plot is fascinating, the music accessible, the performances… first rate. …tender lyricism, a lyricism that permeates every utterance. Pasatieri’s and Corsaro’s pacing of the drama is masterly. The music is lush and voluptuous. …this one-act work has ample charms, including…an invitingly melodic score, with shapely vocal writing, lively choruses and trim, colorful orchestral writing that never gets in the way of the singing. 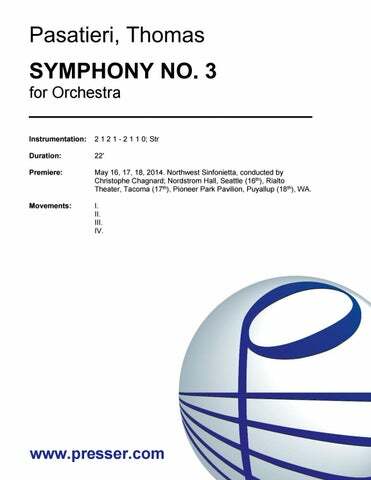 It is colorfully orchestrated, with expressive instrumental solos. This is music of obvious beauty [and] immediate audience appeal. [In] what it sets out to do -that is, act as a conveyor of the text and as an illustrator of the plot -it does strikingly. This is just the kind of material that inspires [Lauren] Flanigan to the dramatic heights. And does she ever soar! …a carefully constructed score that supports the texts…quite a show! The idea was ingenious: to conflate all of Lady Macbeth’s major set pieces into a monodrama. The insinuating melodies of Lady Macbeth, sensual and almost jazzy, had me considering Shakespeare’s well-known words from a new angle. “Lady Macbeth”, in its world premiere, made dramatic use of Lauren Flanigan’s big dynamic and expressive range. …an effective concoction. The five movements, written in a through-composed declamatory style recalling Benjamin Britten, are heart-wrenching … a performance that grabbed the audience and never let it go. …an uncommon flair for words… Pasatieri’s music in surprisingly expressionistic for one of his generation, and he handles his small forces with craft and skill. Every one of nineteen instruments is exploited to its utmost potential of characterization. Pasatieri’s Rhapsody for Double Bass showed the contentious nature of the bass as a solo instrument. But the piece, which flowed lyrically across the instrument’s deep four octaves, should soon end up on recitals by student bassists everywhere. The clever comedy of errors was very much enhanced by Pasatieri’s beautifully constructed score, in which the ensemble passages, especially, were extraordinary impressive. Signor Deluso which he set to his own libretto, is a good example of Mr. Pasatieri’s facility and professionalism. Pasatieri’s adaptation of Molière remains highly satisfying in its succession of rich melodies entwined with quick comic situations. As a musician, he achieves potent effects with an economy of means. The music of “Signor Deluso” is melodious, witty, effective and immediately accessible…Pasatieri possesses a unique and viable musical voice. Signor Deluso took the stage and never let go. It is an irresistible little gem, full of Pasatieri’s now famous blend of contemporary and Italian verismo techniques. …the story is highly theatrical and Pasatieri’s music is lyrical, unashamedly Romantic, always accessible. …Not surprisingly, this has proved to be a popular opera, performed literally thousands of times around the world. “Signor Deluso” is an exuberant sendup of over-the-top comic opera plots, filled with effusive lovers leaping with alacrity to wrong conclusions in floods of extreme vocalism. … It is frothy and fun, and perfect for a young cast. There is a lot to love in Pasatieri’s opera. In addition to the amusing, confusing plot, he has composed a whole Texas-sized parcel of tunes. …tunes melancholy, tunes jazzy and rhythmic, and tunes that make you want to tap your feet and sing along. The best farces…balance the uproarious and ridiculous with the poignant and the tender, and Pasatieri has done that with both his libretto and his music. …an evening of enchanting laughter. …the dramatic and beautiful product of a gifted composer. The score was grippingly dramatic, yet fluid and expressive, from the first ominous measures that set the tragic mood, continuing with skillful instrumentation and deft vocal writing…Pasatieri wrote stunning choruses and smaller ensembles. Pasatieri has an instinctive feeling for the theatre. …a soaring piece of lyrical theater…a work of prevading lyricism and a viable drama as well – a rare combination. …He uses the orchestra opulently and many of his passages are ripe for the melodic plucking. The vocal writing is dramatically pointed yet always graceful, with the sizeable orchestra supporting the singers with potent ideas of its own. Pasatieri’s operas are well crafted and imbued with a flowing theatrical naturalness. … He truly is an heir to the verismo tradition of Puccini, Leoncavallo and Mascagni. 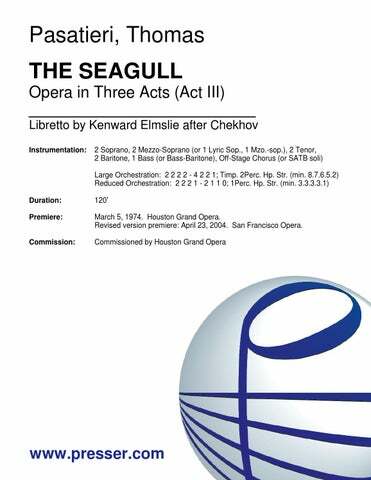 Pasatieri’s dense post-romantic music is radiant … a peerless night at the opera, both musically and theatrically, and “The Seagull” should be performed more frequently. …an engaging work providing a marvelous lyrical flow…Pasatieri is a master at producing post-Puccini lyricism. The young composer was born to write dramatic and vocal music. It pours out of him— for the orchestra, for the voices, in one diverse, expressive lyric outburst after another, tonal and atonal, always suited to the characters who sing them. This work…has been tailored for television and uses the electronic medium to advantage. The story is retold with compelling fervor…As a musical drama, it is a television breakthrough. You can’t hum a few bars from The Trial of Mary Lincoln; [but] you can be devastated by an hour that tightens its grip on the awareness until the spring snaps and the key falls away into darkness. Pasatieri brings together a variety of compositional elements, resulting in an outcome distinctively his own…It is the mark of an exceptional talent that Pasatieri was able to sustain a largely intellectual discussion over a period of nearly an hour. …Thomas Pasatieri has created a mini-masterpiece…The Trial of Mary Lincoln is a television gem. …Mr. 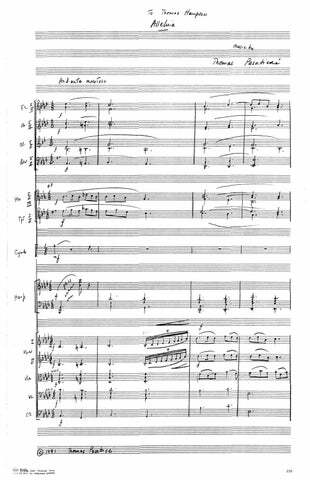 Pasatieri’s score…creates mood and heightens the drama…it provides a substantial and sonorous background for the story. 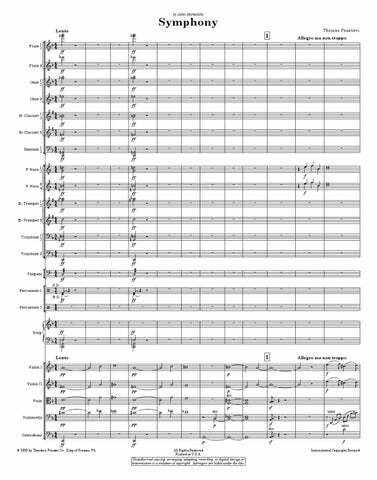 Pasatieri composed a score that always worked with the human voice, supporting and enhancing it…[he] writes melodically but the role was also a difficult one with a challenging range. …the work of a sincere composer who takes his tradition seriously and writes for the voice with unusual skill. 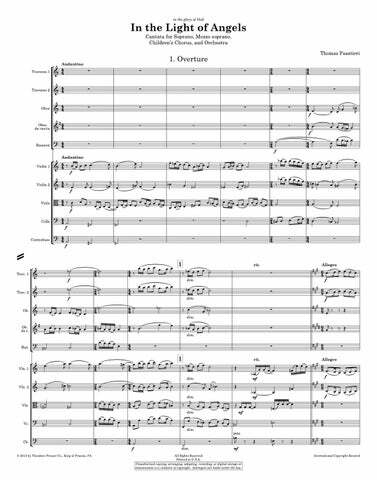 The texture of his scoring for orchestra is not only expert but dramatically effective and pleasing to the ear. Washington Square is a hit. Thomas Pasatieri’s opera is a successful blending of the many elements that make up opera. He is particularly adept at writing vocal ensembles, as well as solo arias, always revealing an expert understanding of the capabilities of the singing voice…Several duets and trios are joys to the ear, but most stunning is the octet of Act II. This is opera as theatre, rich in drama…Pasatieri’s score is a commendable translation of Jamesian tone…An exciting production to be a part of, as audience and performer, Washington Square has been inscribed in American opera. …a musical experience which is admittedly contemporary, but which is also lyrical and which is above all totally American…Those who attended were richly rewarded. …the opera offers much strength and interest…the work has a sense of forceful theater. The score is coherent, tasteful and, was thoroughly operatic in its impact. Pasatieri does, however, compose in a long, undulating vocal line, avoiding the jagged, sawtoothed vocal figures favored by many contemporary composers…It is filled with soaring and searing dramatic passages…This opera has proved it can sing. New Yorker Tom Pasatieri finally became a prophet with honor in his home city through the fine production of his Washington Square by the New York Lyric. Pasatieri’s music is lyrical and varied, with heavy emphasis on romantic melody. The music imparts a feeling of serenity and love, or forceful rage, according to the situation. Washington Square is a most listenable, quite enjoyable opera. The action flows smoothly, his characters are given time to reveal themselves, and there is everywhere a fine sense of timing. Washington Square proved to be a work which should join the repertoire of many opera companies. There was never a boring moment throughout the opera…The octet is a vocal tour de force and the orchestration was resilient and full. Work(s): God Bless Us, Every One!